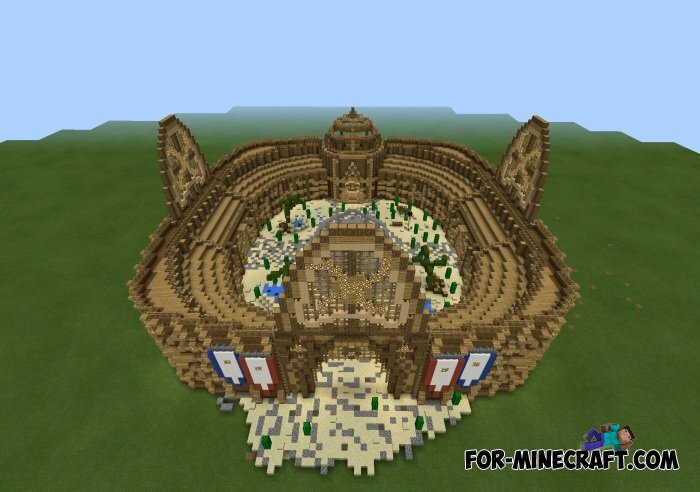 This map has a huge Roman gladiatorial arena, most likely inspired by the Colosseum in Rome, which in ancient times was used as fierce battles and fights between gladiators. I recommend to use the arena as a PvP battles. Mob Battles v2 for Minecraft Pocket Edition 0.10.5I think many already know and have seen new mod "Mob Battles" , with which you can make the mobs to fight other mobs.